Loyalty programs have become a common trend in the restaurant industry as owners have been searching out ways to increase and retain their customer base. Especially for restaurants that have frequently returning customers, having a rewards program is absolutely essential. Prior to mobile applications, most restaurants focused on using stamp or punch cards but often times, these become lost within mere hours of obtaining it. 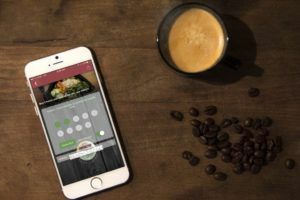 Electronic Mobile Punch cards have become a rising trend as they are a low-cost way to create a more personalized, interactive environment between restaurant and consumer. We live in a day and age where consumers more than ever want to be recognized and rewarded based on their loyalty. According to the 2014 Bond Brand Loyalty Report, customers overall satisfaction with loyalty programs is almost 5x higher when they receive relevant communications. Loyalty programs allow for customized communication between restaurant and consumer which has shown to significantly increase engagement and retention. Since loyalty programs focus on specific areas relevant to where the restaurant is located and towards people who have already expressed interest in what you offer, direct communication with consumers has shown to have a positive correlation with increased sales. Word of mouth is one of the best way to attract new customers and encourage people to dine at your restaurant over the competitor’s. If a customer has a positive dining experience, they are much more likely to recommend your restaurant to family, friends, etc. Especially if they feel they are being rewarded for their continued loyalty they are even more likely to spread the word to others. The shift to mobile now gives restaurants the ability to remind their customers of how great they are. Most often, when you become hungry the name of the first restaurant you hear will be the place you go to. This raises the question: how can I be at forefront of the consumer decision making? Loyalty programs allow you to tap into this by sending push notifications to consumers in the area about any discounts, promotions, special offerings etc. going on that day or week. By simply alerting consumers about what is going on that day could be the difference between obtaining that sale or losing it to the burger joint next door. Ever heard of the 80/20 rule? It states that 20% of consumers produce 80% of sales in business. Whether your loyalty program consists of providing deals on certain items, offering reduced prices or giving away the occasional free item, it can encourage your most loyal 20% of customers to return on a regular basis. Being rewarded for repeat business sits high on a consumer’s mind and you can expect that offering various deals and incentives for loyalty will encourage people to come right back. According to Author Fred Reichheld, on The Loyalty Effect “…a 5% increase in customer retention can lead to a 25-100% increase in profit for your company.” This shows that even just a small increase in retention can have drastic results. Effective loyalty programs don’t have to be overly elaborate or difficult to do. The cost of implementing a loyalty program is fairly low and requires very little maintenance compared to other marketing strategies. Once your program is up and running, all you need to do is sit and wait for the business to come to you.